500 likes it is!! Thanks for your support! 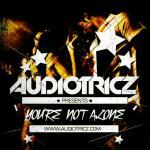 DOWNLOAD NOW: Audiotricz - You're Not Alone.